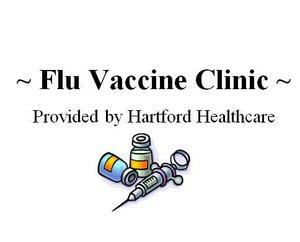 Flu Vaccine Clinic on November 7, 2:30-5pm: All Windham Public School Families plus Windham Residents may participate. 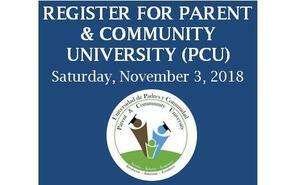 Clínica de Vacunas Contra la Influenza el 7 de noviembre, 2:30-5pm: Todas las familias de las Escuelas Públicas de Windham y los residentes de Windham pueden participar. 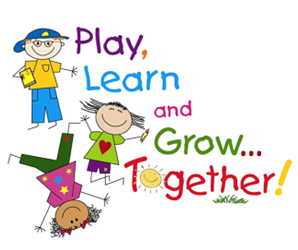 WINDHAM COMMUNITY FORUM Monday, October 29 at 5:30pm at Village Heights Community Room: Join Superintendent Dr. Garcia for an overview of what’s new this school year! FORO COMUNITARIO DE WINDHAM, lunes 29 de octubre a las 5:30pm en Village Heights Community Room: ¡Participe con la Superintendente Dra. Garcia para aprender sobre las novedades para este año escolar! Telephone service throughout the district, and some schools' email and network access, will be disabled for a short time this evening. 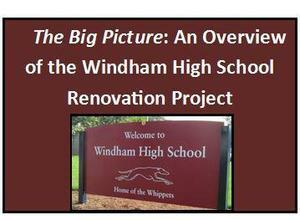 Join us for an overview of the Windham High School Renovation, a community meeting, the evening of October 9. 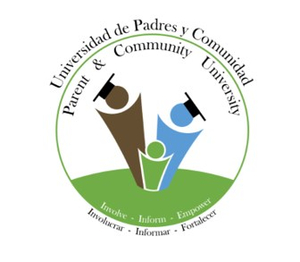 Acompáñanos para una visión general del Proyecto de Renovación de la Escuela Superior de Windham, una reunión comunitaria, la noche del 9 de octubre.